Yesterday was a big day for UK public sector workers. Although I’m over here in Berlin, I’m not totally out of the UK news loop. Most of the people I follow on twitter are British and lots of them seem to be involved in politics as activists or journalists. 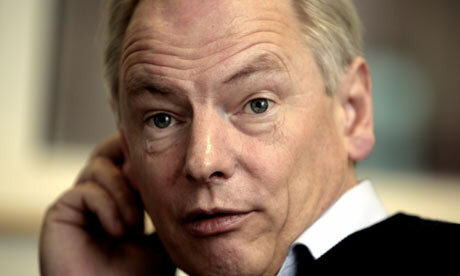 Francis Maude was trending on twitter yesterday. I heard he made a notably sickening contribution to Radio 4’s Today Programme. I couldn’t resist. 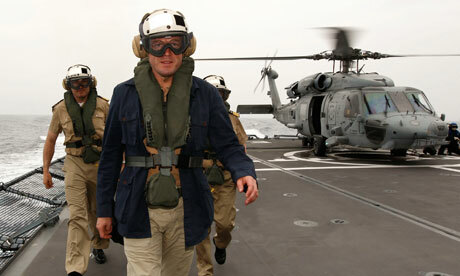 The temptation to hear a Tory embarrass himself was too great. I spent about three minutes with the hook in my mouth – clicking through Today Programme web pages in search of the clip. Then before I found anything, a sense of calm descended, I closed the web pages and got on with some work. One of the nice things about living over here is the ignorance. I’ve learned a lot about German history but this doesn’t compare to a lifetime of living in Britain. And the more you learn about Britain, and the way power works, the more cynical you become. Now that I don’t live there anymore, it’s wonderful to watch the news and not see David Cameron’s increasingly podgy-smooth face everyday (or George Osborne’s, or Michael Gove’s or Francis Maude’s, or Nick Clegg’s, or…etc etc). I feel I understand what the Tories are trying to do and it’s a blessing not to witness a largely compliant and complicit media spin, twist and polish it for me. I’m not suggesting that Germany is free of corruption, or slimy politicians. That’s exactly the point, it’s just nice not to know. The wonderful plagiarism scandal around Karl-Theodor zu Guttenberg broke just as we arrived. Before being caught, his talent for projecting self-importance through corny photo-opps was classic – almost Archeresque. I couldn’t understand his spoken language but the body language was universal. I’m learning little bits about Germany’s federal system. Not much, but I kinda like the idea of it. Especially, as Britain’s democracy is one of the most centralised in Europe. But I just don’t know enough about Germany to understand the system fully. I don’t know how seedy, venal and nepotistic it might be and that’s a welcome break. I do know that Germany is a republic. That’s a massive boon right there. There are also encouraging places like Tempelhof Park (where, as you probably already know, four square kilometers of closed airport became Europe’s largest public park). I just can’t imagine London letting so much land, in an increasingly popular residential area, go to something as ‘frivolous’ as public space. This city knows, perhaps better than any other, what happens when politicians lie, create false enemies and apply their ideologies. The scars are everywhere – and they’re deep. 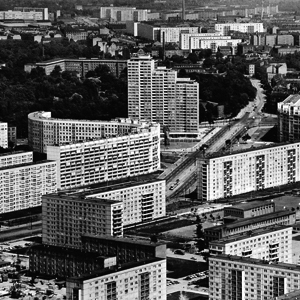 Although Berlin may not be the prettiest capital, there’s something beautiful about those scars. They strike a resonant chord for me. Right now, Berlin feels more like home than the UK. Perhaps this is a strange thing to say for an Englishman abroad? But there’s nothing more alienating than seeing your country represented around the world by the marriage of Prince William and Kate Middleton. So, for now, it’s great to be here – learning what I can, enjoying a different way of life and keeping a safe distance from UK plc. For another, typically more stylish angle, on this strange feels-like-home phenomenon, check out this nice little post from überlin. I have soooo much more to add to this subject, but I have years to make that point. Thanks again for the link, and keep up the great writing! Frustratingly, Maude’s car crash on R4 , surprise surprise, has been largely ignored by the media here and Canada is the latest zombieland to be captivated by the royal couple. I have a brother who’s started a family in Berlin. Which has given me the wonderful opportunity to yearly escape Vancouver, Canada. The supposed ” Most Livable city in the world “…Blah blah blah… – which is an Ok place if your a rich, shallow media person. Or an outdoorsy, hockey obsessed, pot smoker with no interest in the arts, culture or history. Please keep writing.. as a fan who gets to visit Berlin.. you give me ideas of things to see and do there… off the beaten track…. What a nice and incredibly encouraging comment. Thanks David. It’s always nice to think that somebody is reading the blog – and that means something to someone other than myself! This entry was posted on 01/07/2011 by hawkinsian in fulfilment, home, Politics, Uncategorized.